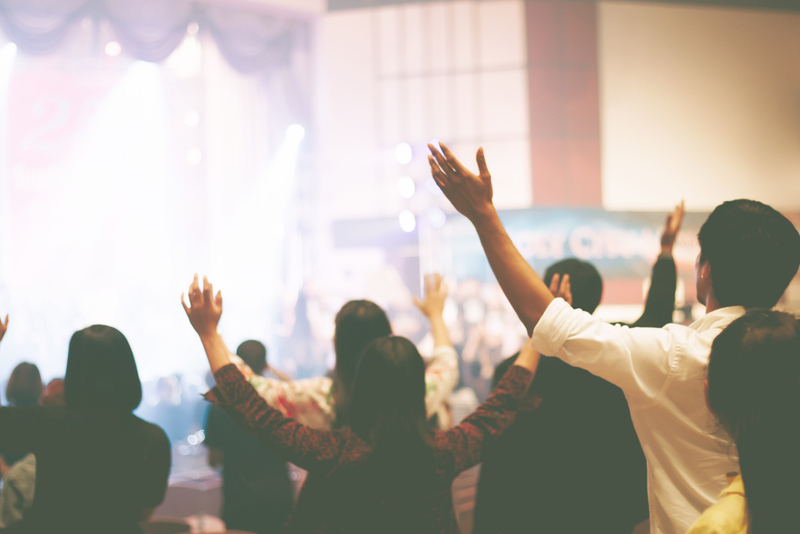 Modern churches have a dizzying array of options to reach new audiences— ranging from digital and print advertising to social media marketing and “in-app” mobile ads. 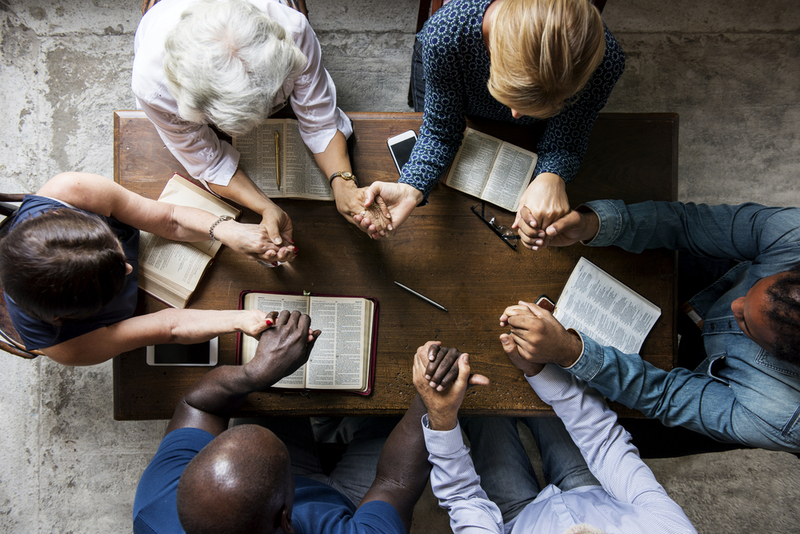 In addition, the sheer amount of content produced by many churches—which may include weekly sermon videos, printed study guides, or podcasts— can make it challenging to choose the best way to disseminate information to members. Text messaging excels as both an outreach and content distribution tool. In this post we’ll look at five ways churches can take advantage of the unique features of text messaging to connect with new audiences and distribute content. While many churches offer their website visitors the opportunity to listen to excerpts of the latest weekly sermon, there’s a better way to use audio content as an outreach tool. Churchgoers looking for a unique way to encourage friends to join them for a church service could receive an “invite a friend” text which might contain an inspirational image along with a link to a downloadable sermon excerpt on your website. Members could post the image and link on their social media pages or share it directly with friends, amplifying the reach of your message while promoting your church. New website visitors could be offered the chance to hear the full sermon and receive weekly content by opting-in to your SMS subscriber list. If you use SlickText as your mass text platform, you can be certain that subscriber opt-in process will be compliant with state and federal regulations every time. Bringing new audiences to a church event can be a challenge. Distributing free content to promote an event with lackluster pre-registrations—even after a print or digital ad campaign—might seem pointless. With a well-timed mass text, you can encourage last minute registrations by sharing video or audio content from past live events. How? Just like diners peering into a restaurant window to see if it looks inviting, potential conference attendees may be lured off of their couches if they like what they see in video excerpts on your social media pages. An example could be texting a link to a 30-second video of your choir performing at a past conference that was posted on your Facebook page. A call-to-action could alert viewers that they can easily register by responding via text. Questions such as “Where can I park?” and “Are there seats left?” could also be answered directly from your Facebook page using a text. Any downloadable content related to the event—such as e-books or video series—can be easily distributed to attendees who opt in to your text messaging subscriber list. Even the most committed students might be too busy to pick up a required textbook before their first class, and church members are no exception. Because many churches still use good ol’ pen and paper to handle course and activity registration after services, lists of course materials are also often printed. It is also likely that students might not open the email that allows them to reserve their copy (email open rates are below 20% according to researchers). SlickText makes it simple for students to take care of everything within minutes: learners can register and receive confirmation through a confirmation text, then instantly receive a link to a downloadable e-book or their receipt for their textbook. A mass text can also be used to update members on class schedule changes and offer class recaps for those who miss a session or two. Texts are also a great way to encourage members to invite friends to ongoing classes or to distribute supplementary materials to new students needing a refresher on topics from a previous course. SMS “drip” campaigns are scheduled, targeted texts that are automatically sent to selected audiences over a specific period of time. SlickText’s drip feature is a perfect way to support monthly content distribution, such as an online video course series or a digital magazine subscription. For example, new church members can receive invitations to download a free video when they join your SMS subscriber lists, and then receive texts to download new videos every month as they are released. Links to updated online publication catalogues can be delivered each month via text, and members can easily share it with friends, broadening the audience for your content. Churches offering webinars can streamline registrations by allowing members to secure their spot weeks in advance and then instantly receive a link to participate in the event when it goes live. From sermon topics updates to scheduling alerts, bulk texts can serve as a hotline for pastoral staff, allowing them to easily communicate important updates to the entire congregation. When the nursery is in immediate need of a substitute assistant, or inclement weather forces an evening service cancellation, a text can alert the entire church body, permitting members to respond with questions. Because texts can be sent in bulk or targeted to a single subscriber, they’re the perfect way for pastors to discreetly receive and respond to individual prayer requests, or to solicit church support for a member in need. Text messaging can also be used to distribute content during a service to members who, for example, didn’t bring along a study guide and wish to read along during a message. These are just some examples of how churches can use text messaging to deliver content to new audiences. SlickText makes the whole process simple for churches of any size: you won’t have to manage the tech side of things, or worry about CAN-SPAM compliance. We’ve helped more than 40,000 businesses reach new customers and build a loyal following. From pizza shops to name brands to local churches, we have the features that you’ll need to target and engage the right audience. Talk to us to learn more about how text messaging can transform your business.